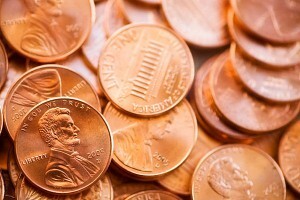 Does the amount of salt affect the shine of a rusted penny when mixed with white vinegar? Label one bowl as 0 tsp, one as 2 tsp, and the last one as 4 tsp. Fill each bowl with 1/8 cup of white vinegar. Pour the salt in the bowl. Put 0 tsp in the first bowl,2 tsp in the second one and 4 tsp in the last one. Stir each bowl. Lastly, put one penny on each spoon and drop one penny in each of the bowls at the same time (you might need to get help so you can drop them at the same time). Let the pennies soak overnight and check the next day. Remove the pennies from the bowl and make observations.